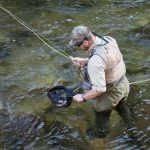 For 2018, Simms updated the fit and construction of its venerable G3 Guide waders to improve comfort and fit a broader range of body types. It’s still the gold standard for durable construction, only now it looks better and feels lighter. 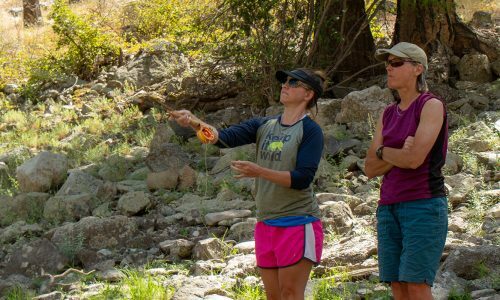 The Simms Women’s G3 Guide waders use a more streamlined, modern fit: Instead of the baggy, saggy profile that used to be common among fishing waders, the G3 Guide is more body-hugging (which also looks more flattering on most bodies). But we found that the revised fit offers even more freedom of movement than the “old” G3 Guide waders. Although the previous version earned props from testers who appreciated the figure-flattering appearance provided by its trim cut, they also noticed that the mid-thigh seams tended to bind and constrict when hiking up high steps. That’s no longer true: The updated G3 Guide let testers step up onto a boat trailer and scramble up steep riverbanks without feeling pinched. The women’s-specific bib is cut higher in the front but dips lower in the back (which boosts breathability—see below). The bib’s roomy cut accommodated C and D-cup testers, who praised the comfort and coverage. But smaller-chested anglers wished for a way to cinch the opening and reduce gaps for a tidier fit. That broad chest opening does make it easy to pull the waders over the hips when taking them on and off. And the booties fit as they should: Neither too small, nor too big. That made them comfortable for all-day wear, since they never pinched toes or bunched up in testers’ boots. Simms’s promise is durability more than breathability: With four layers of fabric (including particularly thick, densely-woven nylon material from the mid-thigh to the ankles) the G3 Guide doesn’t make it easy for sweat to escape. But this latest incarnation breathes better than former versions of the Women’s G3 Guide, which used five-layer construction. Simms claims that newer, stronger nylons allowed the company to switch from five to four layers with no tradeoffs in durability. 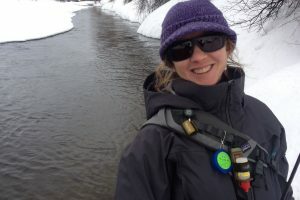 The result is a wader that feels lighter and less oppressive on hot days: On one 80°F afternoon along Colorado’s Yampa River, we found we didn’t mind lingering in our waders after hours on the water (before, we would’ve peeled them off the minute we left the water). Yes, our base layers felt damp, but it was a fraction of the moisture that was typical of the “old” G3 Guide. The lighter bib also accounts for a boost in breathability. Only the legs use four-layer construction; the top is a thinner, three-layer layup that makes it easier for heat and warmth to escape. Since the hips and core are women’s warmest zones, it makes good sense to put lighter fabric where anglers most want a breathability boost. The low-backed bib also makes the G3 Guide feel airier, especially if it’s paired with a sling or backpack. Reducing the sweat-trapping fabrics on testers’ backs kept them comfortable through a broad range of temperatures. Simms continues to best every other player on the market when it comes to bomber construction. 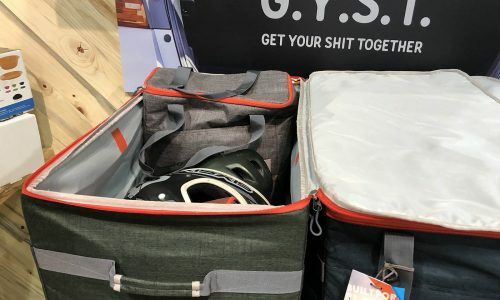 Not only are the fabrics extra-tough and thick, but the waterproof/breathable membrane is also Gore-Tex Pro Shell (Gore’s most durable, longest-lasting product). The G3 Guide is the only wader in this test to use Gore-Tex as its waterproof/breathable technology. The seams are stitched (not welded) but amply taped. 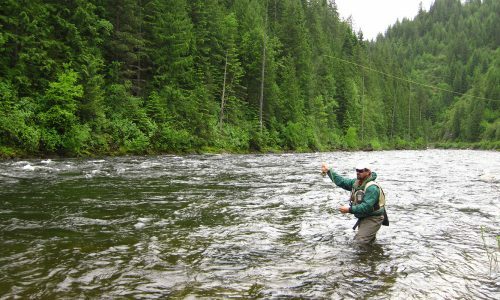 And because they’re placed on the front and back of the legs (rather than along the inseam, where they get abraded when anglers walk) they reduce the likelihood of springing a leak from years of hiking. 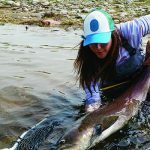 There aren’t a bunch of bells and whistles on the Women’s G3 Guide Waders, just a few functional features. The gravel guards are made of extra-thick, neoprene-like material that’s easy to stretch over boot cuffs. Microfleece on one side of the pass-through chest pocket makes this a passable hand-warmer. And opposing buckles on the shoulder straps convert to a belt, which testers appreciated when they rolled down the bib in hot weather (they could peel down the fabric and cinch it at the waist with the shoulder straps). Testers’ favorite, feature, by far, was the flip-out inner chest pocket. It can zip away entirely so you can load it up with your favorite flies, weights, and retractor tool. Its broad, zippered pocket holds a small fly box, and two Velcro-topped pouches secure split shot, strike indicators, spools of tippet, or leaders. 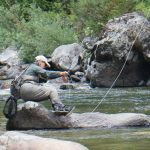 This feature impressed testers who typically fish with a sling pack, because it allowed them to keep essential items on the front of their body, within immediate reach—and stash lesser-used items in the sling. The Women’s G3 Guide doesn’t try to be all things to all anglers: It’s built for daily use, and offers the level of durability that guides and other hard-core anglers demand. 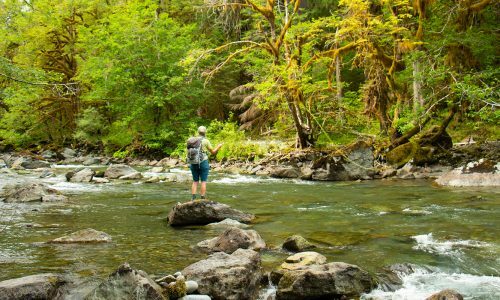 There are cooler options (like the Cabela’s) that are better for hot-weather fishing, and there are more affordable waders (like the Orvis and Redington) that offer impressive performance at a more approachable price. 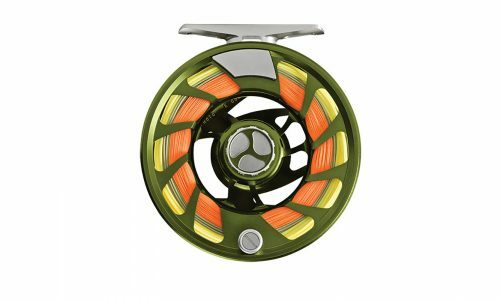 But anglers who need built-tough construction—especially ones who live in the Pacific Northwest and Rocky Mountain regions, where temperatures remain relatively cool–will find the Women’s G3 Guide to be a winning combination of durability and comfort. I loved the bib’s tackle pocket, which offered an unobtrusive way to keep my most-used flies and nippers within immediate reach.